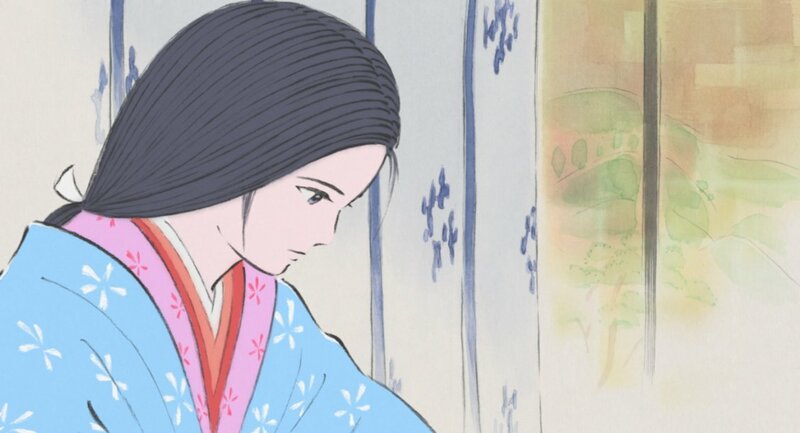 The Tale of the Princess Kaguya is the latest outing for Studio Ghibli and another feather in their cap. 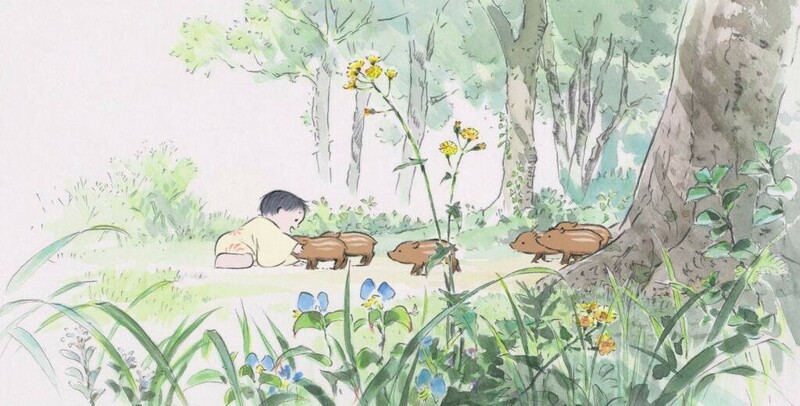 Helmed by co-founder Isao Takahata, this feels very much like a swan song for the elderly creator and like the best of his work is a brilliant and bittersweet story. Kaguya is a retelling of The Tale of the Bamboo Cutter, a Japanese folk story first committed to the page in the 10th century. Using an arresting visual style, the film is about the eponymous princess, a mysterious girl born from a bamboo stalk and subsequently brought up by the bamboo cutter and his wife until a sequence of magically appearing gifts bestow them with the opportunity to raise themselves to the level of urban nobility. 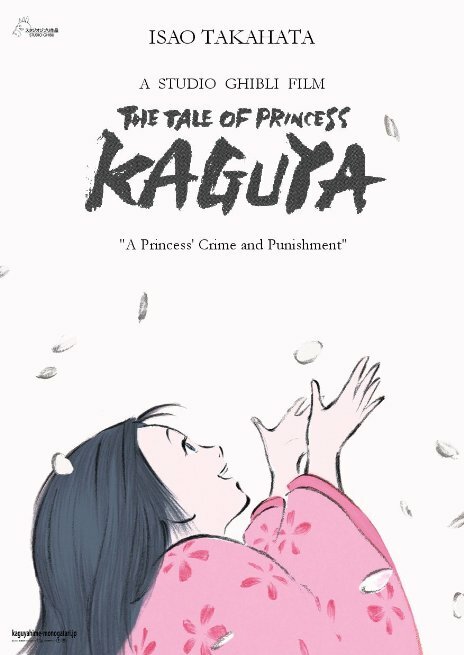 It is a bizarre mix of fairy tale and social drama, where most of the action centres around Kaguya’s resistance to the cultural constraints of life as an aristocrat compared to her idyllic rural childhood, but the fantastical forces that brought her to this world always tease their way into the story. The first thing to note about Kaguya though is the phenomenal visual style. This does not fall within the conventions of the ‘Ghibli style’ and the film is gorgeous to watch. The film is rendered in soft water colours and evokes tradition Japanese brushwork. Environments on their own are gorgeous but often taper into whiteness at the borders of the screen or leave featureless sections blank. These omissions lend a story book quality which makes Kaguya all the more mesmeric. It is not simply that film is beautifully drawn but its uses its atypical style very effectively. The birth of the princess from the bamboo stalk cleverly uses line-work to shift its tone. As the cutter works, his lines shift even when he is motionless, but when upon finding the princess his lines halt their motion completely to display reverence. The only movement here are the precise dots of ink emanating from the princess to communicate an otherworldly radiance. Another specular scene is the flight from the city where the art becomes harsh, sharp and deformed. Takahata’s visual direction allows the emotions of the characters to be writ large on the screen. Typically for Takahata and Ghibli, the visuals are matched by all levels of production. Although the visual style is the most distinctive aspect of the film at a glance, I wonder if the film is really more centred on music. The rural scenes at the start at established in sound, with the buzzing and bustling of animals, the songs of meandering children, and the rhythms of a country village. This contrasts with the city, a much more silent place where scenes infrequently have musical accompaniment unless they carry the pomp of official aristocratic functions. In some ways the film is a study on economic and social comparison, with the rural folk living together amongst the means of production and sustenance (much attention is laid on everyone’s tasks as either bamboo cutter, carpenter, farmer, charcoal burner, etc.) and the nobles living in mansions that close them off from everyone on the other side of their high walls. All this is reinforced by the music. The countryside has jubilant folk songs whilst the most frequent music in the capital are the koto sessions enforced on Kaguya by her tutor – an example of social expectation and constraint wedded to music. Even the fantastical element is the rooted in music. Kaguya, comes to earth a new born babe but already knows one song which she has no recollection of learning. Whilst the countryside is full of rich earthly sounds and the city has proscriptive circumstances for music, this mysterious song crops up every now and again before the supernatural comes barrelling into prominence at the very end, invading with all manner of elaborate song and spectacle. The use of art evoking traditional Japanese drawings and the fact that Kaguya is based on a 1000 year old Japanese fairy tale may deter some who think this will be culturally impenetrable but the film was amazingly accessible. Though it is indeed steeped in Japanese culture, these are just the surface elements of the piece. At its heart this story is about a girl struggling to deal with the expectations society puts on her which is a very pervasive theme globally. Even the fairy tale aspect seems universal, with its structure fitting neatly with the tropes of European folk tales too. When five eminent suitors come to see Kaguya, the audience knows that we will see the tasks they are set played out in turn and expect Kaguya to shrewdly circumnavigate their ruses. Perhaps the only nugget of reticence I may have about recommending the film is that I wonder how appealing children will find it. Many still see animation as a children-only medium, and there is nothing inappropriate here for kids but I wonder if the lengthy sessions about decorum and wrangling for status in the capital will appeal as much as the larking about in the country or the weird and wonderful folklore. Life in the city is depicted as still and infuriating, with many scenes unaccompanied by music to contrast to the bouncy rhythms of the bamboo cutter’s village. Older viewers may ultimately find this more rewarding than kids but perhaps I underestimate the attention spans of youngsters. 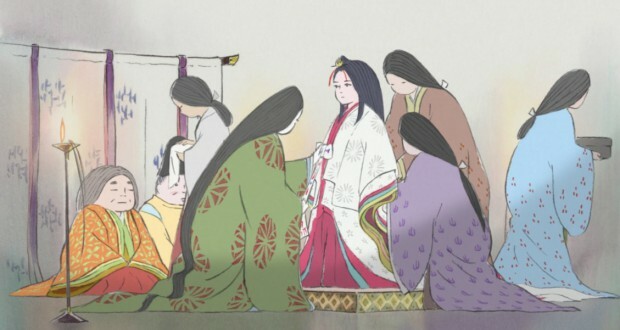 Verdict: The Tale of the Princess Kaguya is beautiful, sophisticated and engaging. If this is Takahata’s last piece, it is a great one to go out on. 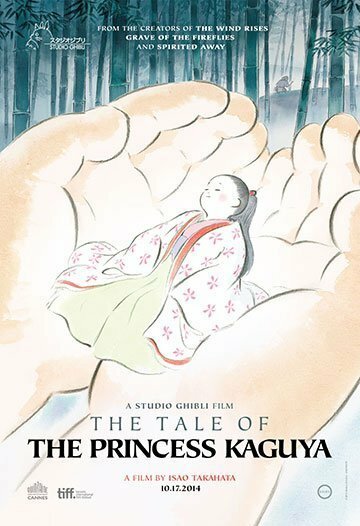 The Tale of the Princess Kaguya is currently on general release in the UK.